It’s cheese. I am convinced it’s cheese that allows only a mere 2% of the American population to call itself vegan. And with BaconFest—a three-day event in Chicago where bacon is the star, in the buff and added to everything from cookies to ice cream to, you guessed it, cheese—kicking off this afternoon, I have a theory that bacon is what keeps the number of self-proclaimed vegetarians in the U.S. hovering at about 5%. These are the only two foods I know of that can be described as “making everything better.” And it shows in consumption data. Both continue to grow in the midst of the plant-based movement. According to the USDA Economic Research Service, Americans consumed 1.5 cup-equivalents of dairy products per person per day in 1976 and in 2016. While overall quantity is the same, the mix has changed. Fluid milk consumption has fallen from 0.9 to 0.5 cup per person per day, while cheese consumption has doubled. U.S. cheese consumption is expected to continue to grow over the next decade, topping 38 pounds per person by 2026. That’s a lot of cheese. Could it be to make all those plants taste better? This is not anything new. 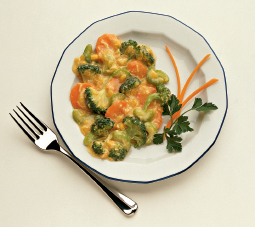 Think broccoli in cheese sauce. While cheese as an ingredient—both in the home kitchen and in commercial manufacturing--continues to grow, retail sales are also booming. Year-to-date retail volume sales are up 3% compared to the same period in 2018, according to IRI data provided to Dairy Management Inc., courtesy of the Midwest Dairy Association. Cheese prices are at favorable levels, down 1.8% vs. the same period last year. Natural cheese continues to be the driver, with early 2019 growth observed across most top-selling cheese varieties and forms. Most cheese blends and shredded forms—what home cooks often use in the kitchen--continue to outperform the category as a whole at retail. Sales of imitation cheese—those vegetable oil and plant-based dairy case invaders—continues to decline despite the fact that products continue to enter the category. Why? They just don’t beat the real thing. Let’s take a moment to celebrate the hard work that goes into making delicious cheese by recognizing the 2019 U.S. Championship Cheese Contest Winners. Out of a record-breaking 2,555 entries in this year’s contest, a team of 60 elite cheese judges evaluated entries from 35 states based on technical merits, including flavor, texture, appearance and, of course, taste. 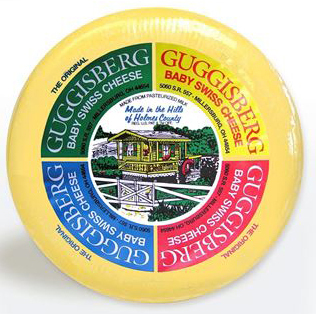 A Baby Swiss Wheel made by Guggisberg Cheese, Millersburg, Ohio, was named the best cheese in the United States with an impressive score of 98.54 out of 100. Marieke Gouda of Thorp, Wis., claimed both the first and second runner-up positions. Coming in just one-tenth of a point behind the Champion Cheese, with a score of 98.41, was Marieke Gouda Premium, a gouda cheese aged 18 to 24 months. Marieke Gouda Overjarige earned a score of 98.39. 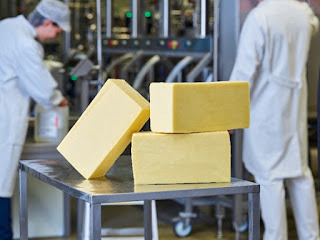 Overall, Wisconsin cheesemakers dominated the 2019 competition, earning gold medals in 60 of the 116 contest classes and sweeping the gold, silver and bronze medals in 25 classes. New York cheesemakers earned nine gold medals, while those in California and Idaho earned six each. Gold medals went to dairy processors in Colorado, Connecticut, Illinois, Indiana, Massachusetts, Michigan, Missouri, New Hampshire, New Mexico, Ohio, Oregon, Pennsylvania, South Dakota, Vermont and Washington. The U.S. Championship Cheese Contest is the largest technical cheese, butter, yogurt and dry dairy products competition in the country, and has been held biennially since 1981. For more information on the contest link HERE. For complete results for all entry classes, link HERE. Photo source: Chr. Hansen Inc. Interested in tasting some of the winning cheeses? Plan to attend the Chr. Hansen Reception & Auction of Champion Cheeses on April 17, 2019, as part of the 2019 Cheese Industry Conference in Madison, Wis. The conference is co-hosted by the Wisconsin Cheese Makers Association and the Center for Dairy Research. Innovation sessions on topics such as trending new flavored cheese concepts, creative packaging and ingredients to improve cheese yield and quality will be offered during this two-day event (April 17 and 18). For more information, link HERE. Here’s a sneak peek at Chr. Hansen’s new CHY-MAX Supreme, a coagulant designed to increase yield by up to 1%. Launched this week, such groundbreaking innovation in the coagulant space is rare. CHY-MAX Supreme is the third generation of the CHY-MAX fermentation produced chymosin range of coagulants and a result of five years of intensive research. It helps cheesemakers deliver a greater commercial return by offering up to 1% more cheese over the market leading coagulant without compromising whey quality. It enables faster, more precise production and better slicing and grating of cheese with controlled protein breakdown over time. The new coagulant maximizes value by allowing the cheesemaker to produce considerably more cheese out of the same amount of milk. A 1% yield increase of global cheese production means more than 220 million kilograms of cheese without more milk to the vats. That is enough to satisfy the yearly cheese consumption of 15 million American consumers! 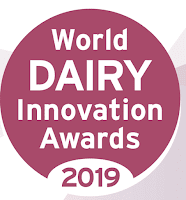 Many dairy processors have introduced great new products this past year and I encourage you to enter the World Dairy Innovation Awards 2019. U.K.-based FoodBev Media has organized and presented this award for the past 13 years, and this year will be selecting winners in 22 different categories ranging from products, brands and catering to marketing, packaging and sustainability. All are designed to celebrate excellence and innovation across every category of the global dairy industry. Every year, some of the biggest, most world-renowned brands and groundbreaking new start-ups enter the awards, highlighting their newest innovations on this global platform. The finalists and winners of the 2019 awards will be announced at a special gala dinner during the 13th Global Dairy Congress on the evening of June 26, 2019, in Lisbon, Portugal. For more information and to enter, link HERE. This year, the closing date for entries is May 10, 2019.